More proof is emerging that the iPhone 7 won't include a 3.5 mm headphone jack, and damn—it is not pretty. 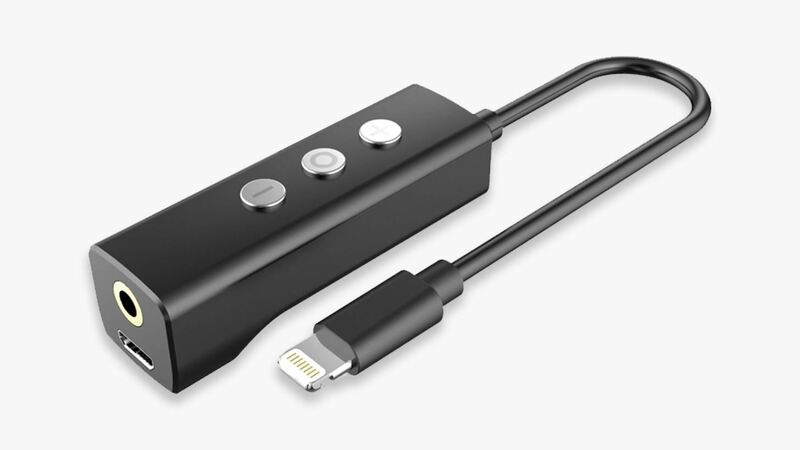 These third-party Lightning-to-3.5 mm dongles were spotted on Chinese site Tama, and they give us a glimpse into a horrifying future in which we have to attach one of these clunky monstrosities to an iPhone just to connect a set of standard headphones. Sure, Apple will probably include EarPods with a Lightning connector with the iPhone 7, but then you won't be able to use the charger while you listen. This contraption appears to have a Lightning input for simultaneous charging and listening, but... just look at it. Would you want this thing hanging off your phone? Maybe the render makes it look larger than it really is, but I just can't imagine walking around with this thing plugged in. At the very least, it looks like it would do a fair amount of swinging around as you move, and at worst, it could yank your earbuds out. Hopefully there are other third-party manufacturers out there that are working on a better solution than this—like a case that packages all this up nicely—because this thing is about to make me sick, and I'm not even an iPhone guy. Could This Be Our First Look at the iPhone 7 Pro? News: With Apple Cutting the Headphones Cord, Why Aren't They Cutting the Power Cord Too?